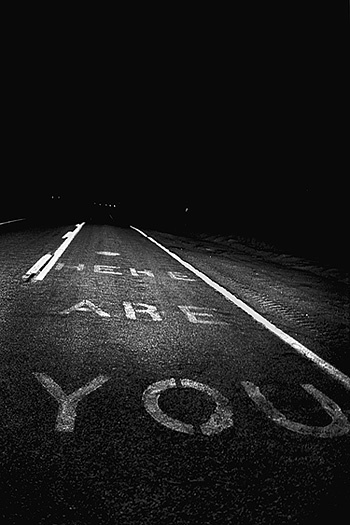 "You Are Here" You are here, you have always been here, you will always be here. Located a couple of miles west of Goffs on Route 66. 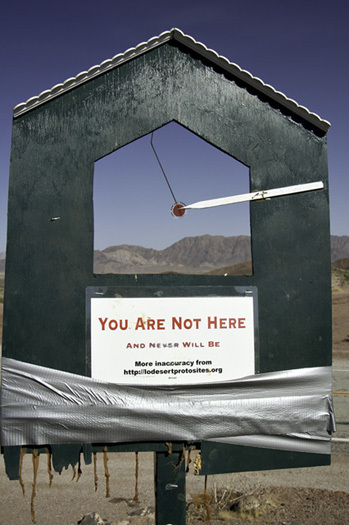 "You Are Not Here, and Never Will Be" More disinformation from the Lo Desert Proto Sites. 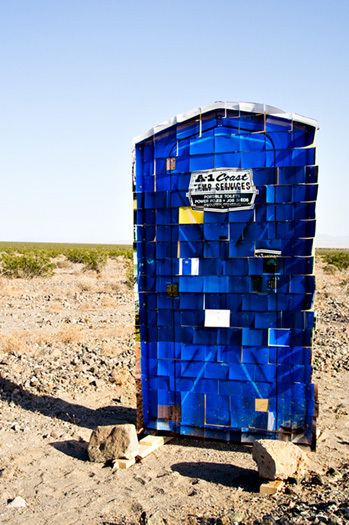 Located at Cadiz Summit on Route 66. "Open House" Open House made of 150 4x6 photos with subliminal journal obverse and obvious graffiti reverse. Was located a couple of miles east of Amboy on Route 66. 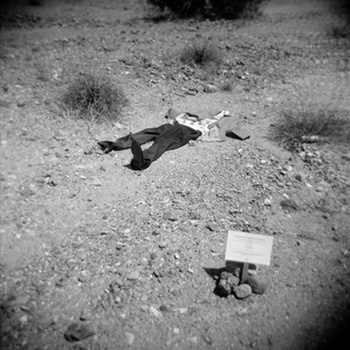 "Tomb of the Unknown Dead People" A memorial to all the John and Jane Does who lived hard lives and died even harder deaths, and who eventually got unceremoniously dumped in the desert. Located in the backyard of the Open House. 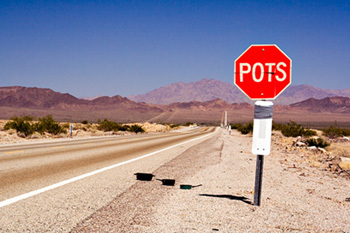 "POTS Sign" Warning: POTS on the road. 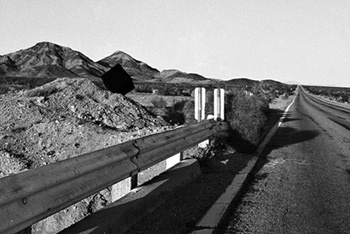 Was located 9 miles east of Amboy on Route 66. Somebody grabbed it within a day of putting it up. "Schrodinger's Cat Box" More uncertainty from the Lo Desert Proto Sites. Was located 3 miles east of Amboy on Route 66. Some cat rescuer knocked it off it's pedestal a couple of weeks after putting it up.